Exporter of a wide range of products which include buddha head - face - poly resin statue, meditating poly resin buddha statue - samadhi, poly resin resting buddha statues decorative, poly resin buddha statue in multiple colors and meditating poly resin buddha statue with crown. 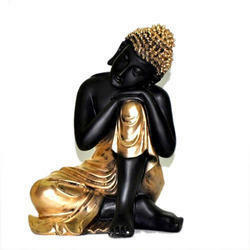 We have uniquely positioned ourselves as a dependable firm, engaged in manufacturing, trading and supplying Poly Resin Resting Buddha Statues Decorative. 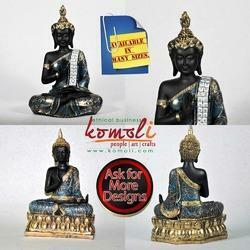 These buddha statues are acclaimed in the market for their excellent finish & quality. 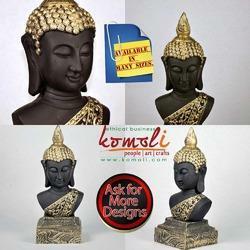 We design these buddha statues from top grade material by employing latest techniques. Our offered buddha statues are available from us in quality packaging for providing defect free range in a given time. Looking for Polyresin Decor ?